My Baton Rouge Mommy: Amazon Toy Lightning Deals - Drones, Remote Controls, Ugly Sweater Kit + More! 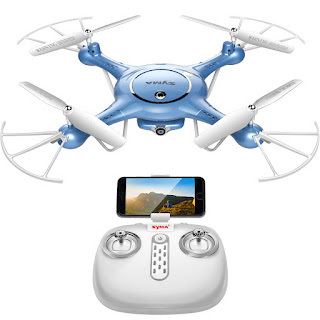 Amazon Toy Lightning Deals - Drones, Remote Controls, Ugly Sweater Kit + More! Sea Life Ocean Party Inflatables - Penquin, Dolphin, Seal, Sea Horse, Starfish, Turtle, Crab, Octopus - 8 Creature Set ! Quadefy Classic - The Quick Playing Strategy Game of Making Every Move Count! Feisty Pets by William Mark- Sammy Suckerpunch &amp; Princess Pottymouth- 8" Plush Stuffed Dog &amp; Cat That Turn Feisty With a Squeeze!